The rubber-reinforced face nubs and "waffle" design provide crush-proof scraping action. 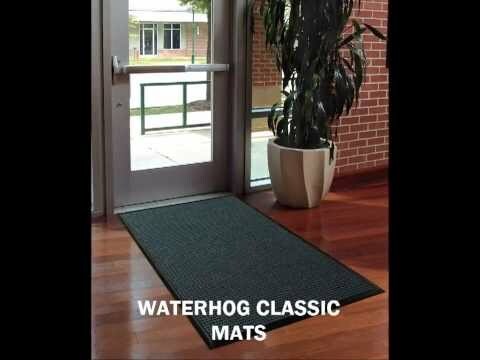 Raised-rubber, "water-dam" border traps dirt and water, keeping them off carpets and floors. 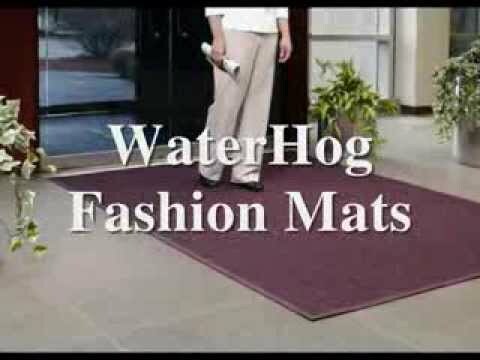 Perfect for most applications inside or out, the Waterhog's unique design makes it revolutionary! 1/4" pile height; SBR Rubber. Exclusive rubber-reinforced face nubs prevent pile from crushing extending product life. Anti-static 100% premium polypropylene. Fabric dries quickly; won't fade or rot. Can easily be vacuumed or hosed out. Cleaning is easy! Simply use vacuum and extraction cleaning methods; or hose Waterhog[TM] off with water and hang to dry. Not recommended for use in areas exposed to grease or petroleum products.